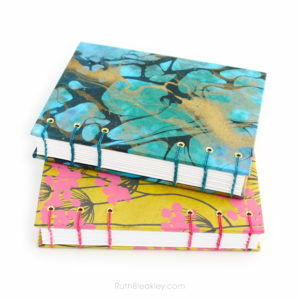 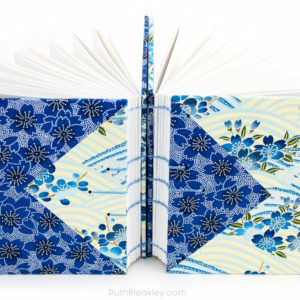 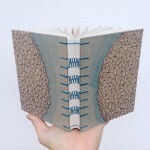 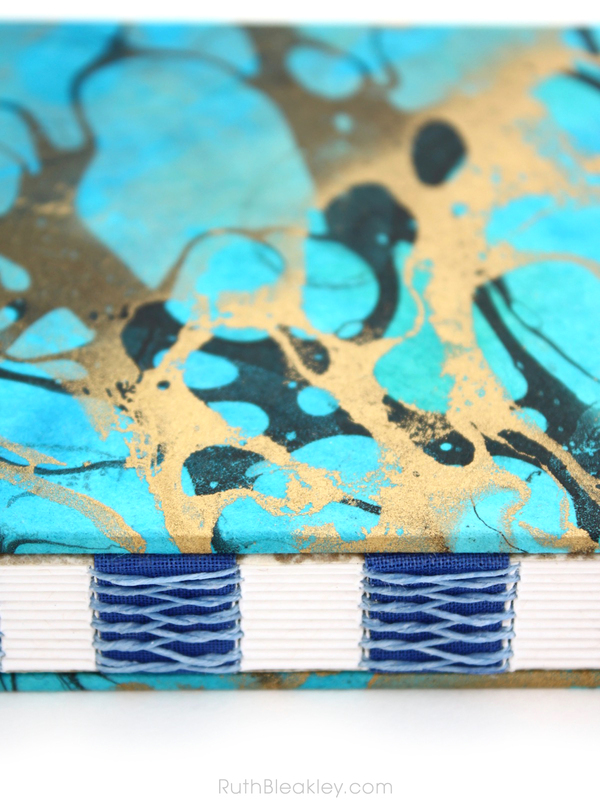 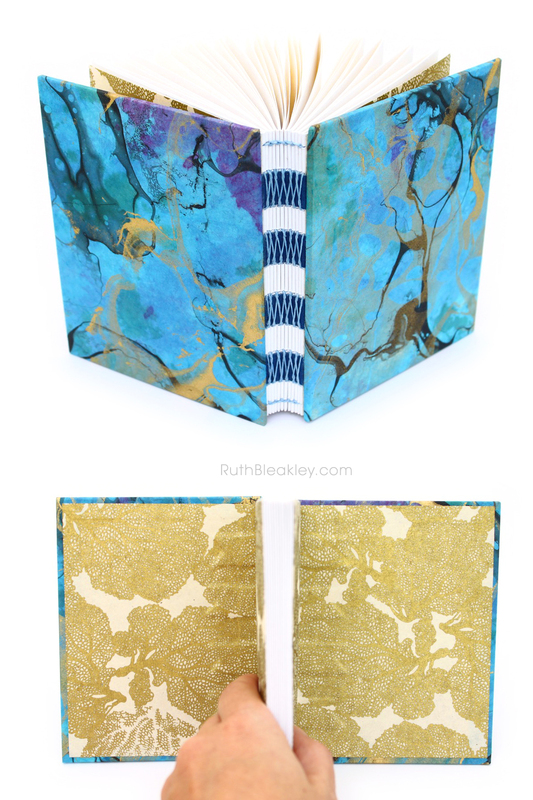 If you look back on my Indigo and Gold Branches French Link Stitch Journal post (that’s the journal pictured below in the middle) you’ll notice the beautiful blue, green, gold and black marbled paper that I used on the inside end pages. 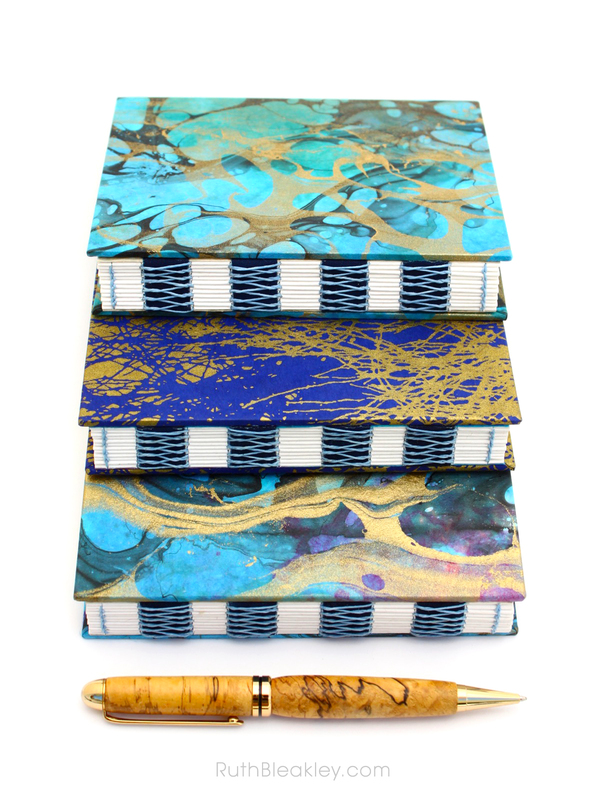 I can’t pretend to have some kind of top-secret source for that gorgeous paper, It’s called Thai Momi Paper and it’s fairly common at large art supply stores and you can even find it on Amazon (in fact, here’s a listing of SIX different sheets of marbled paper– that will keep you going for a while! 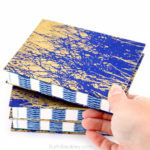 That’s a great price too). 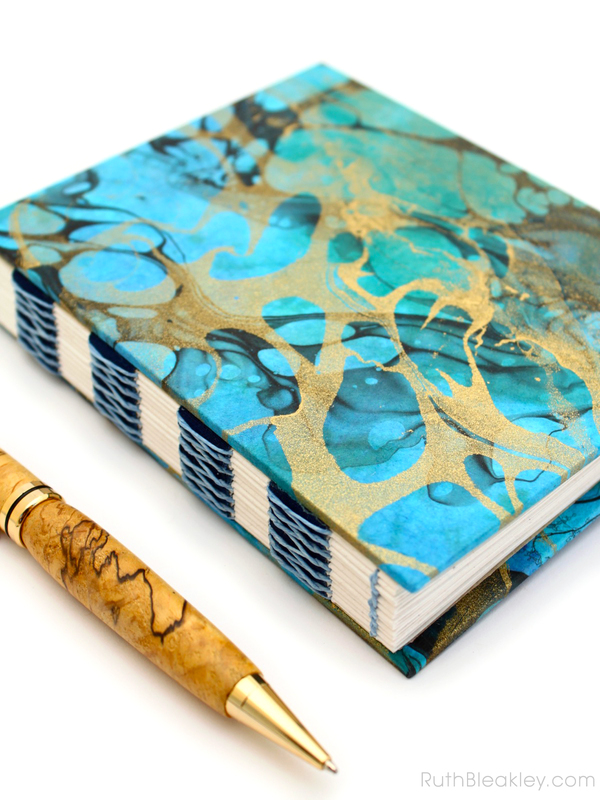 The texture of this paper is soft and delicate, like heavy tissue paper that you’ve crumpled so much that it’s soft and not crispy. 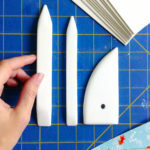 You need a light hand when applying glue. 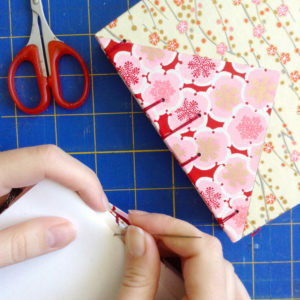 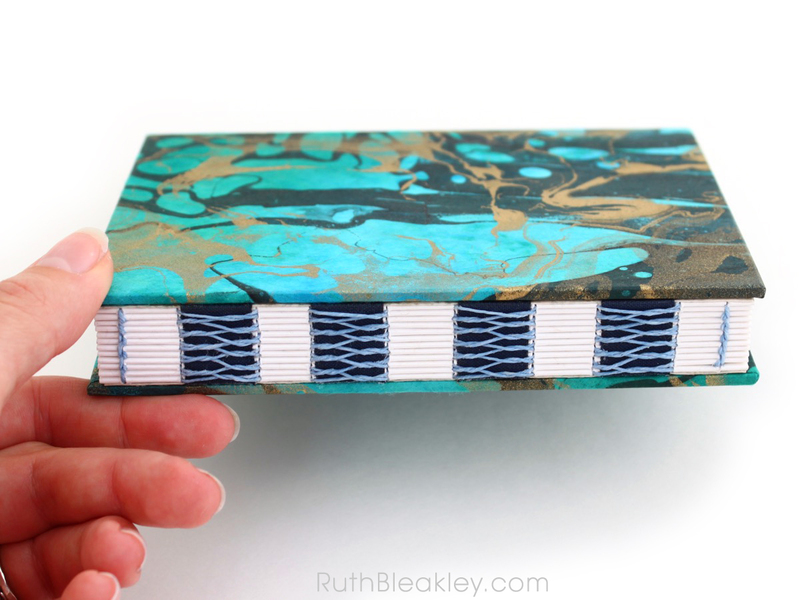 After you stick the paper onto your book board cover and burnish it with your Teflon bone folder it’ll look nice and flat, but until that point it’ll look totally wrinkled. 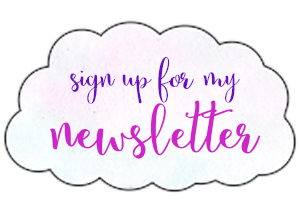 Don’t say I didn’t warn you! 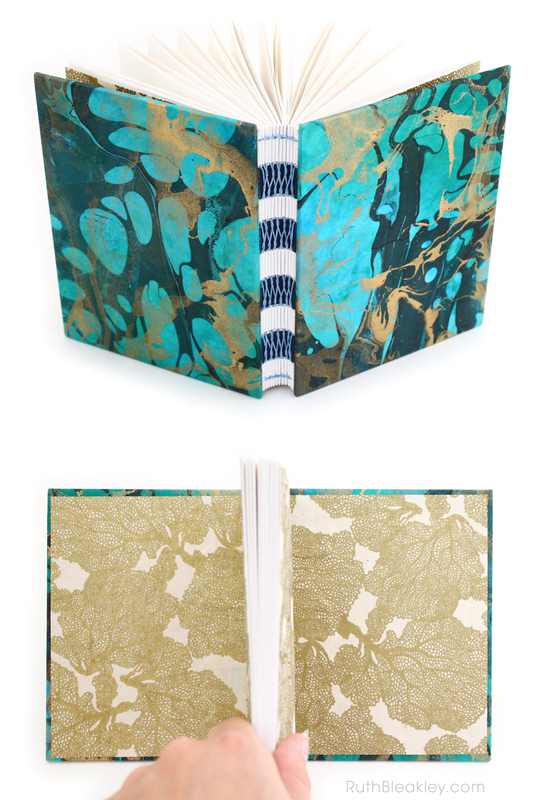 What a shame to hide such gorgeous paper, right? 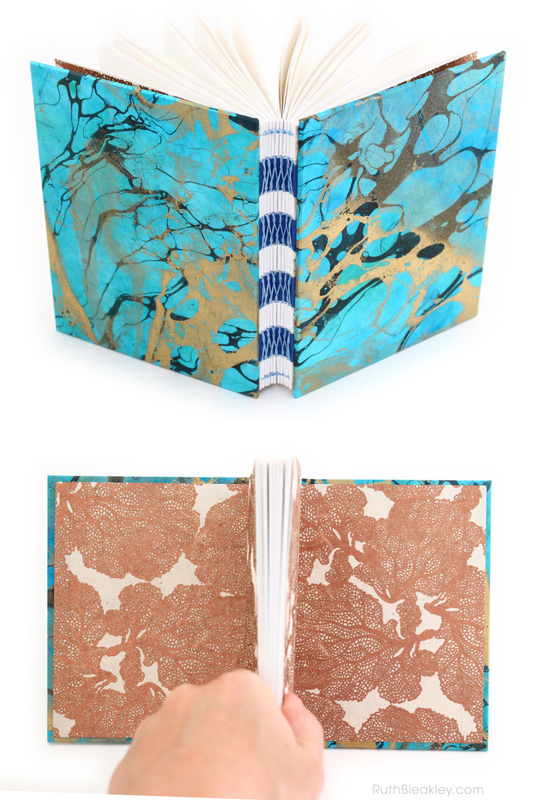 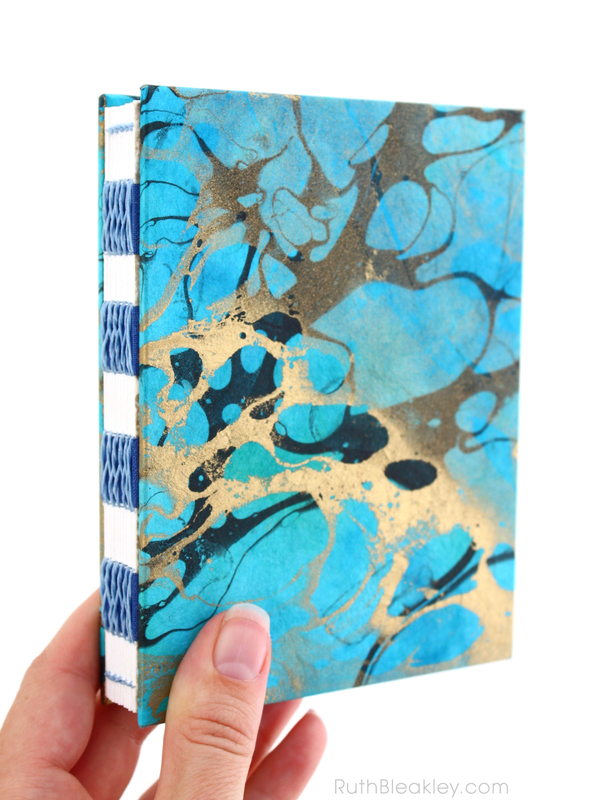 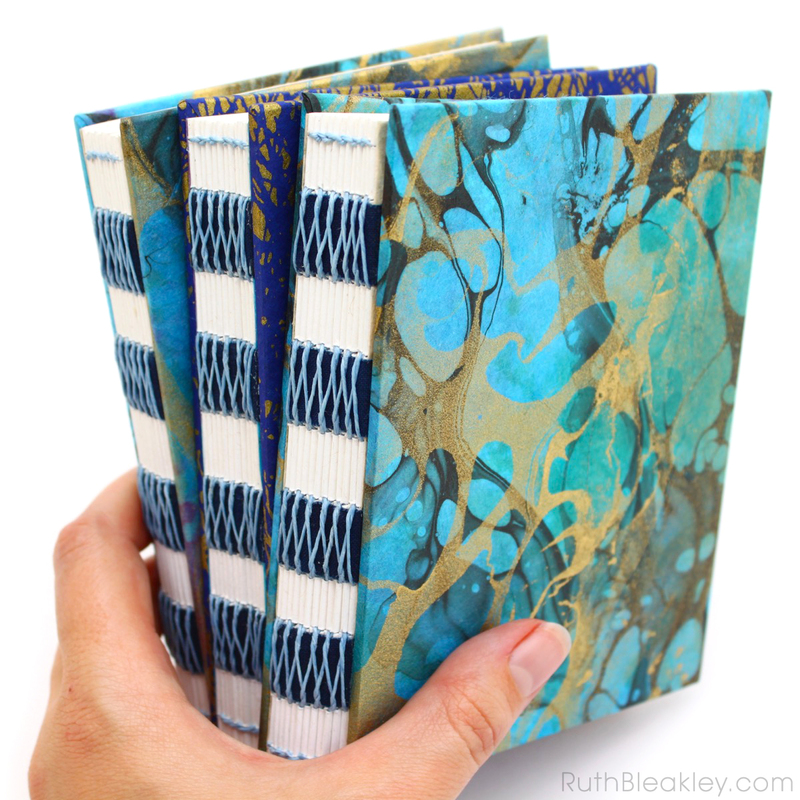 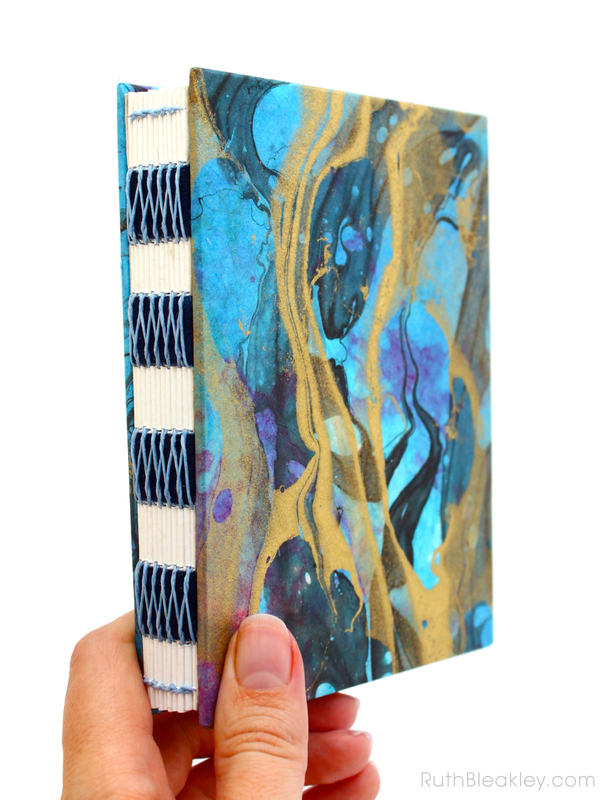 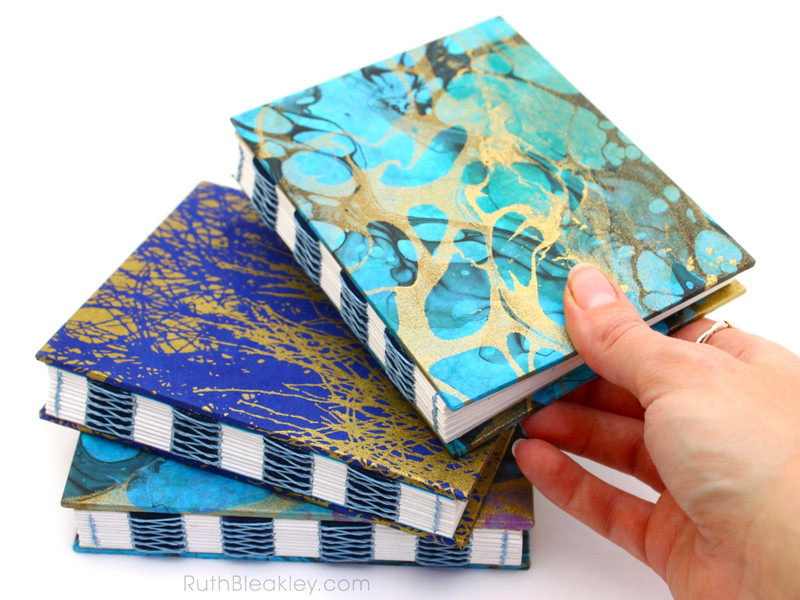 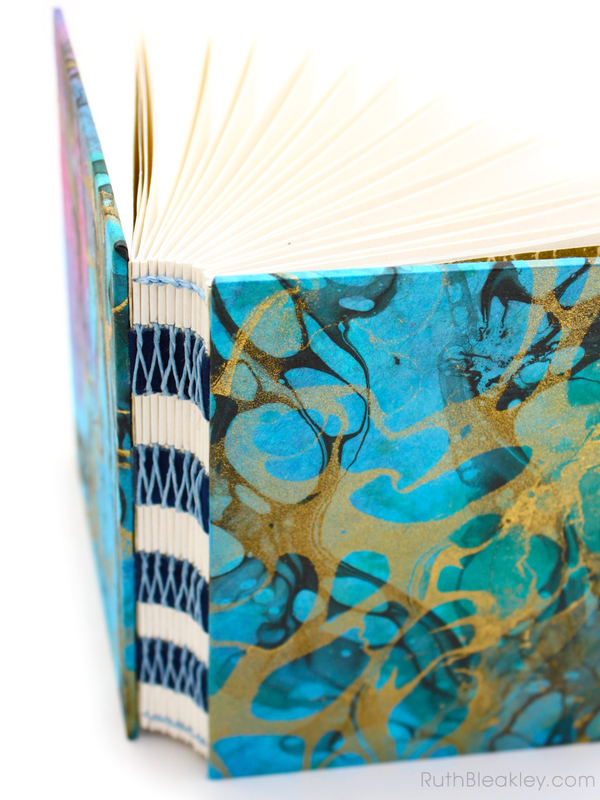 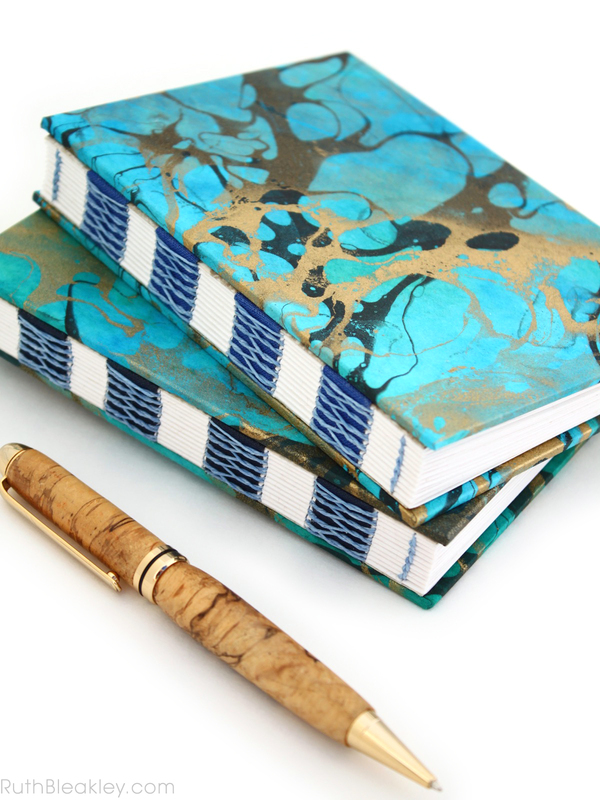 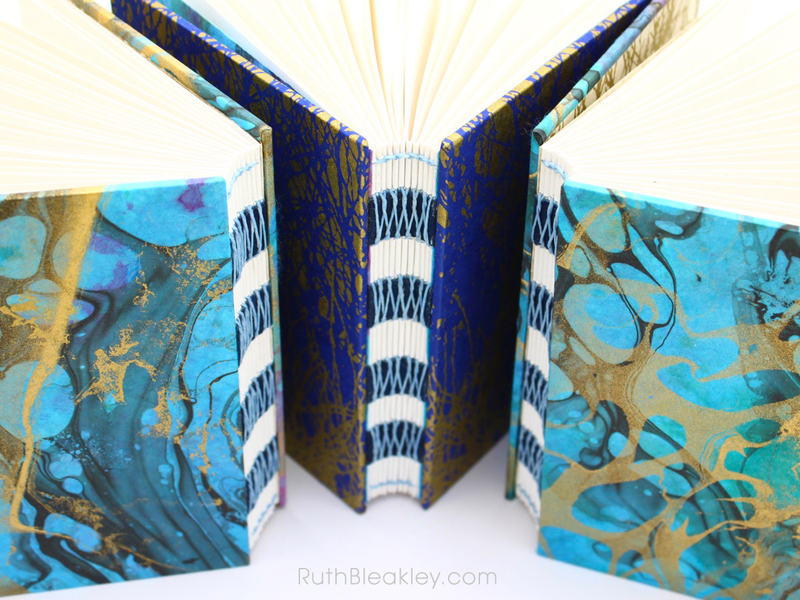 I was inspired to put this amazing marbled paper on the outside covers rather than the inside covers, and I love how each journal is now one of a kind, since the papers are handmade and no two are exactly alike. 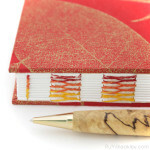 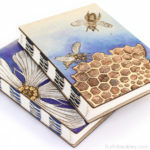 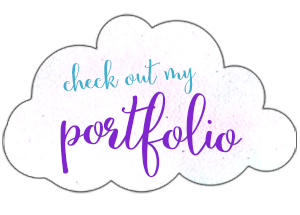 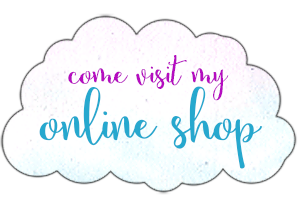 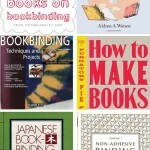 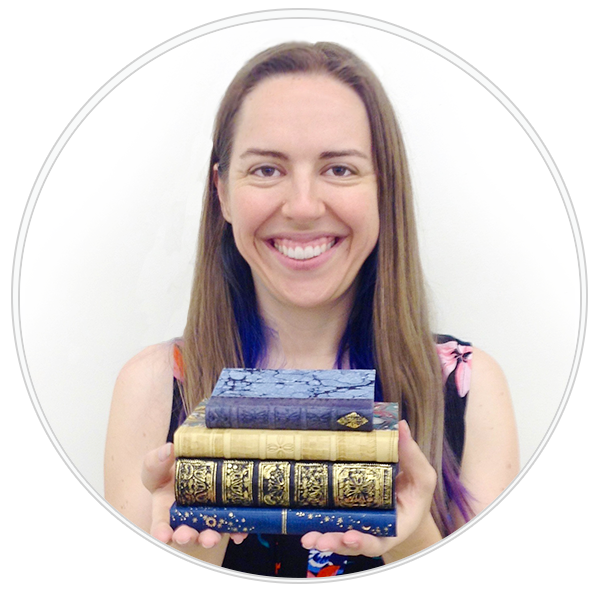 Teflon Folders vs Bone Folders - which one is better for bookbinding?